Oscars smascars. Who cares about the Oscars when I have more important news involving… Salad? Anyone who knows me, knows I’m not a huge salad person. As in I’d rather eat pizza or chicken or a hamburger or French fries or just about anything else. But lemme talk to you for a secondddd… this isn’t an ordinary salad. It probably shouldn’t be classified as a salad but in AshleyWorld it is. I love this salad more than I love Jennifer Lawrence… more than I love Jennifer Lawrence being so surprised she falls up stairs… more than I love this video of her speech after doing a shot or two. Side note: can she just be my new best friend after that? I’m so happy she won Best Actress, she was so sweet and gracious and I think I have a crush on her. But, oh right, back to mangos…. Yumm. 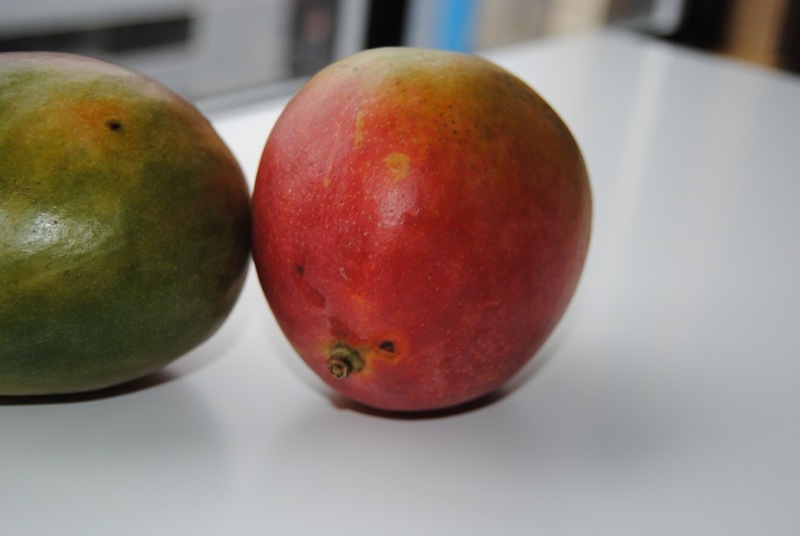 I saw these mangos at whole foods the other day and HAD to buy them… I didn’t even know how to cut them, don’t worry I food a great explanation with pictures here. 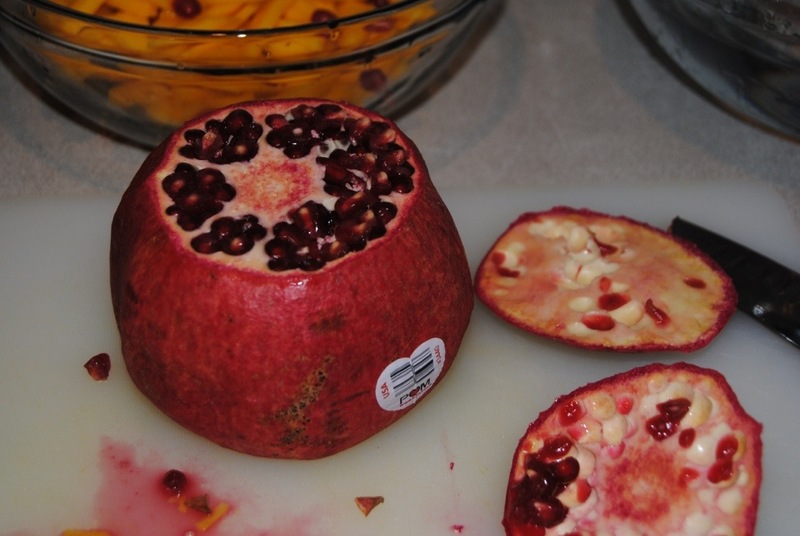 Then I realized I had pomegranates in my fridge and the idea just sparked. 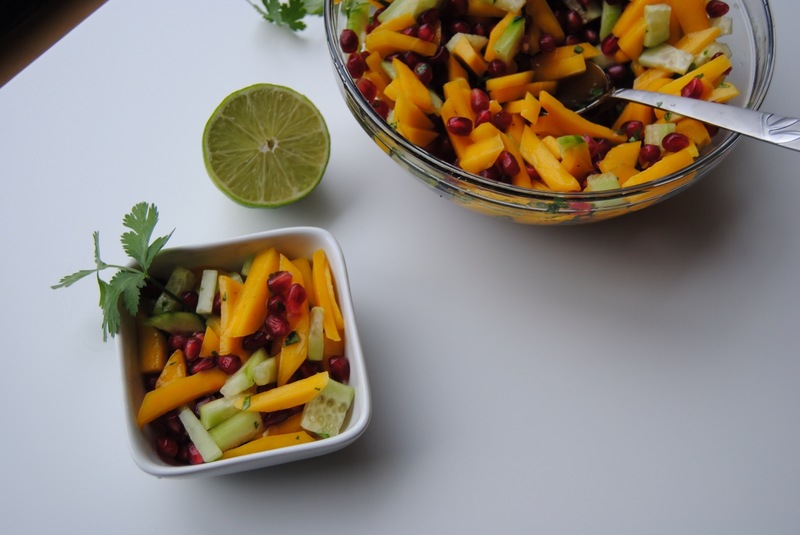 You only need a few items to make this salad: mangos, pomegranate, cilantro, cucumber, and lime. It’s super simple and totally worth it. I served mine as a side to spicy stuffed zucchini boats and an adventure with quinoa for Deb and Cameron on Sunday. As far as I’m concerned it was a hit. Cameron finished two plates, with more of everything! 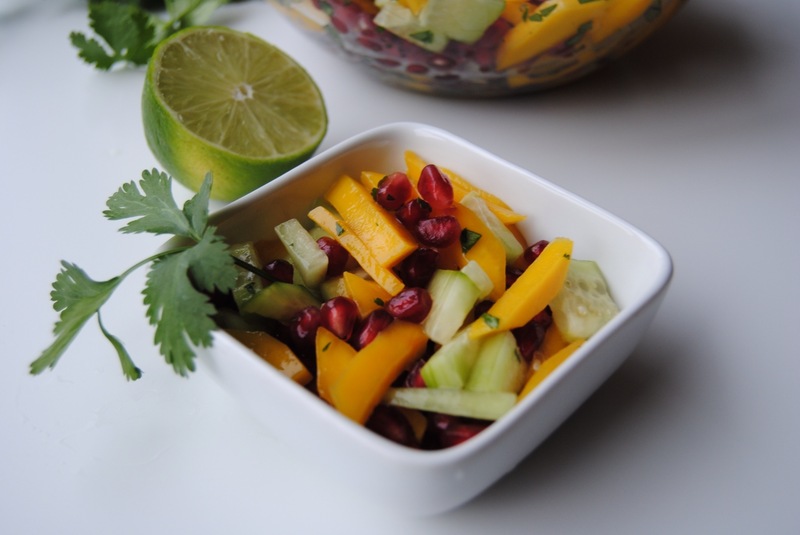 Cut the mangos into thin slices and set aside. De-seed the pomegranate into a bowl of water. 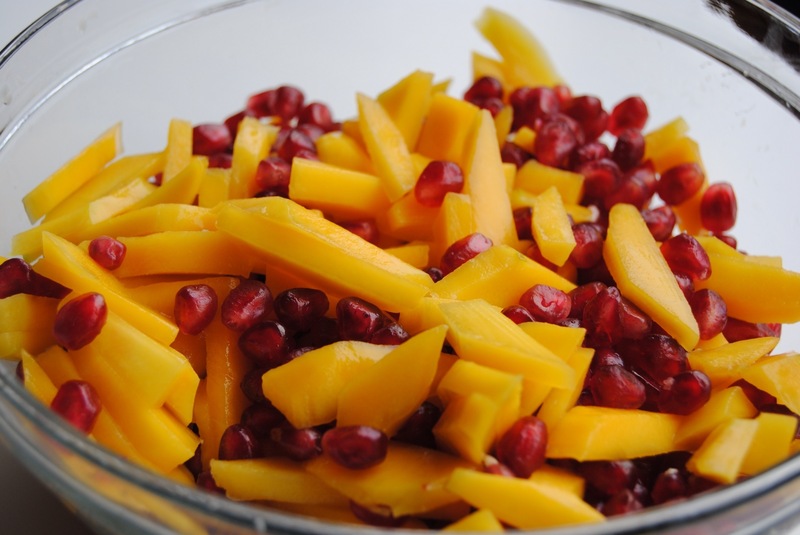 Strain the pomegranate seeds and remove pith & membrane from the bowl. Peel and slice the cucumber. Chop a small handful of cilantro (more or less to taste). 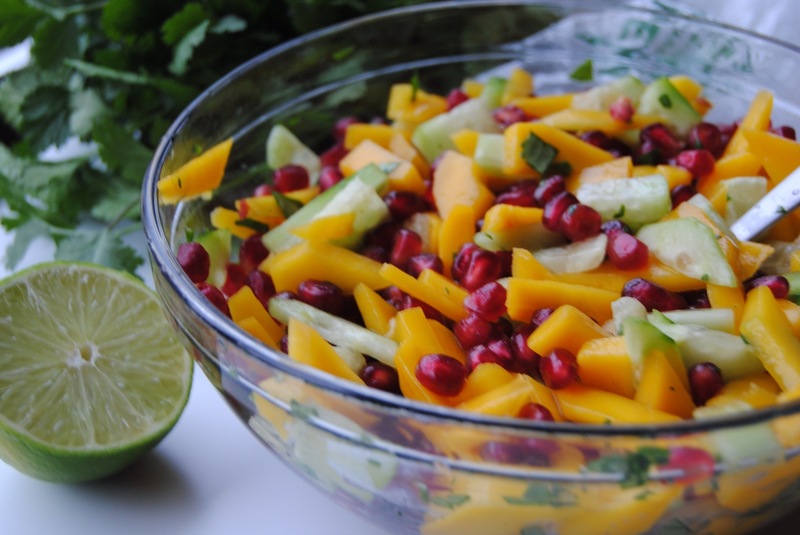 Combine the mango, pomegranate seeds, cucumber, and cilantro in a large bowl. Squeeze the juice of half a lime into the bowl. Mix all ingredients together. And I wholeheartedly concur – a GREAT sld that in my world could also classify as a dessert!